Add wheels to your recycling box system and you'll find that transportation suddenly got quick and easy! 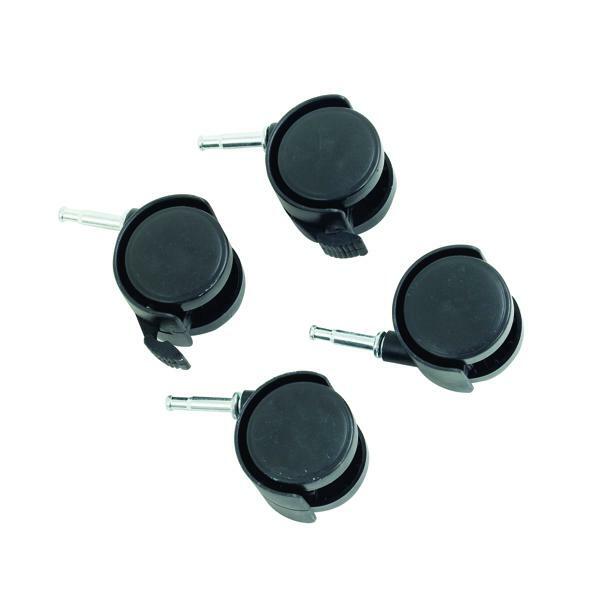 This optional castor pack is suitable for use with storage bins, waste and recycling bins and the wheels are easily fixed using the 'push-in' method. The castors are sturdy and reliable and are load tested to withstand heavy duty usage and heavy loads, consistently providing fast and easy movement of your bins and boxes.